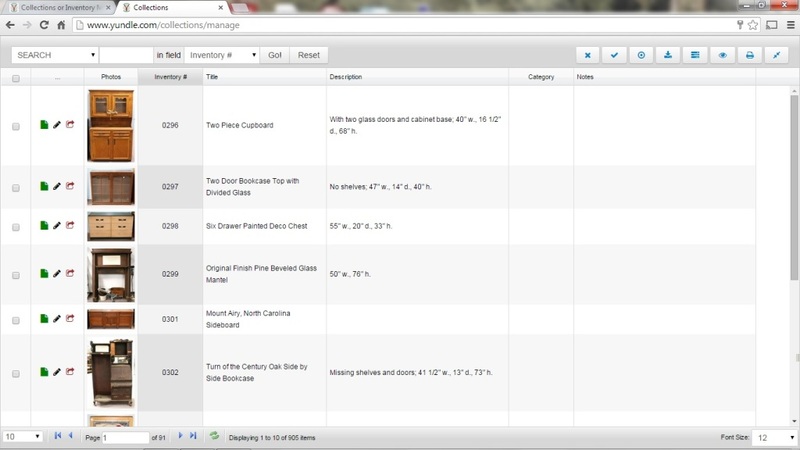 Now you can maintain your collections or inventory securely online. There is no longer any need to do it the hard way. 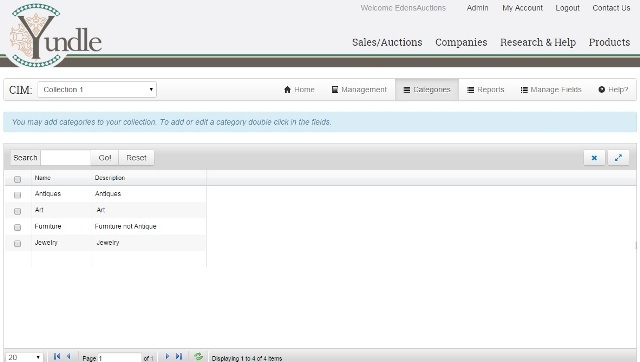 You now have all the controls you need online in an easy to manage interface. 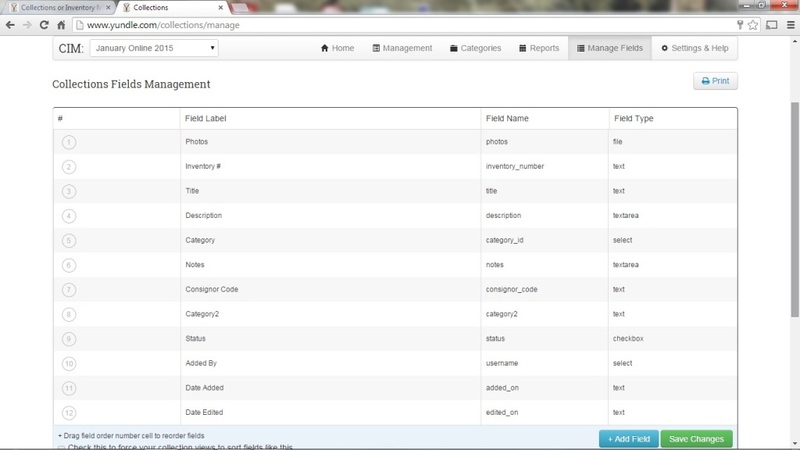 Filter any field by word. Try it free. Simply complete our contact form. Need help? We will help set up and enter your inventory. Just ask for details. 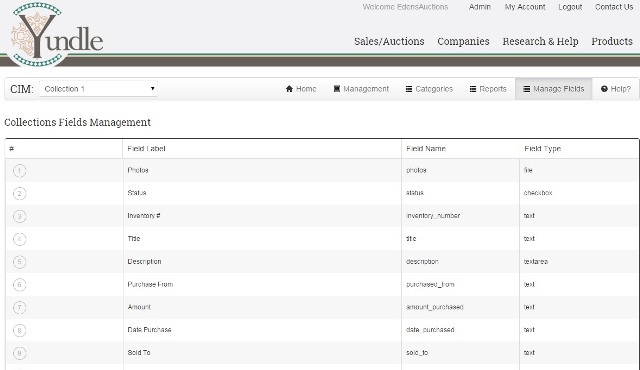 Manage the fields you want for your collection or inventory. Add fields, delete or edit.